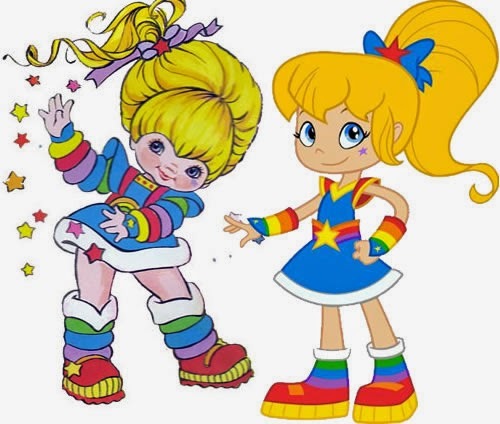 The new Rainbow Brite character designs have been slowly coming out all week! Today, the last Color Kid was posted and I couldn't help but want to review them! 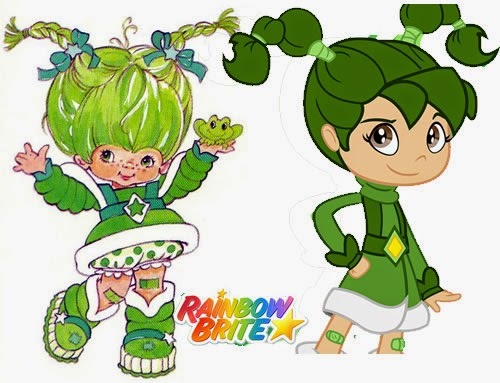 A year ago before the show came out I actually did some soul searching regarding "if the color kids were re-designed, what could they be like?" In the original 1980's British Audio books the Color Kids were given different accents, Patty O'Green was honestly Irish for example. So I thought that based on their names, what were some subtle changes they could do to provide different nationalities to each kid. The name is very much a parody of "Rhett Butler" the male lead in Gone with the Wind. A character made famous by "Clark Gable". I thought it would be interesting if Red could actually be a southern gentleman. Though you will have to be careful with the "Red neck" comparison..har har. Lala was always given "French" features, such as wearing a Beret, and being so fashion forward. Even her name "Lala" is very much like: "oh là là": french phrase for surprise meaning "Oh my," "Oh, dear", or "oh no". Why couldn't she be French? 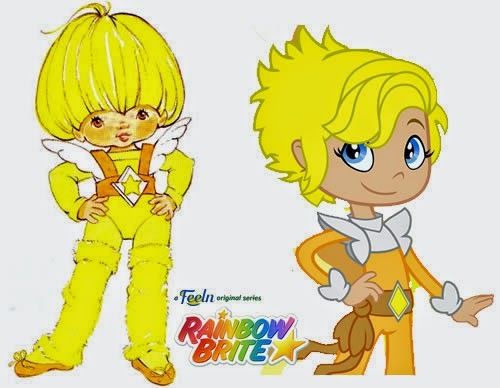 Canary was another "blonde" character like Rainbow. But the characteristics of the character weren't very defined, other then her liking to dance and having a very "sunny" personality. Someone suggested to me she could perhaps be Russian, because of the blond hair being such a characteristic in the culture and her being a Ballet dancer. Patty's name really speaks a lot to being "Irish", Her cute pigtails and freckles on her cheeks. Buddy was always very Sporty, but his personality often reminds me of a soccer player, and Soccer is the most popular sport in Spain. 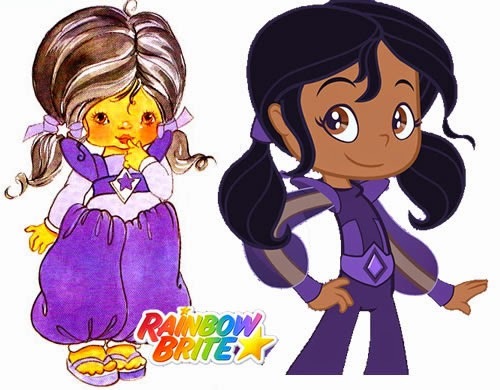 The original Indigo was dark skinned, but I have seen Fan Art that makes her "India Indian", This can be traced to the fact that Indigo Dye was first mass produced in India, but her costume seems to be inspired by Arabian/Genie costumes or harem pants. However, she can also be considered African, because Africa is also close to the Asian areas that inspired the color. Like I said , I've seen in fan art, both ways. Shy Violet's "bun" hair style, knee high socks, and shoes reminded me of Asian school girls. Asian schools have a dress code which includes such things. Primary/Elementary (age 6-12). She is a very "smart" character too. When I brought this up to a friend they said "Oh! 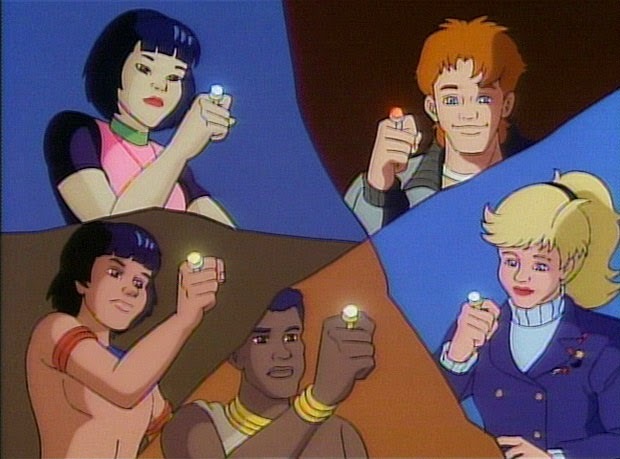 So it's Captain Planet and the Planeteers!" I was surprised to see Shy Violet with those almond eyes! It was like they read my mind! 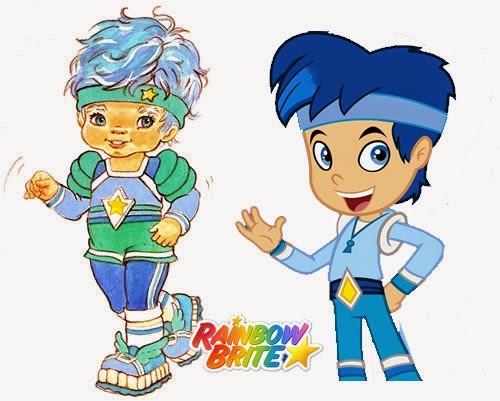 That is how I really knew I wasn't the only one who had the thoughts about these characters. Now weather or not the other characters are anything like I mentioned above, I have no idea. 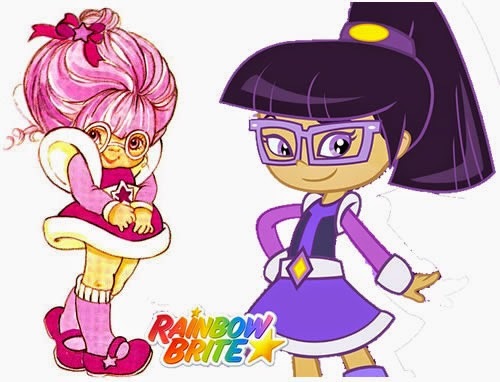 They probably have nothing in common with my theories, but I think Shy Violet, the one who has the most dramatic change in appearance is really sweet looking. I don't want to make something positive and turn it negative by including characteristics that can be considered stereotypical and mean. Some races and cultures may feel honored to be included! On the flip-side you are also going to have people angry over such a stereotype. And to those people I don't understand. Shy Violet can still be smart and sweet no matter what "nationality" she is. Now, there is a hint that Monday, October 27th there will be more surprises! I can't wait! Will we see the Dark Princess? who knows! I don't! Remember, the power is yours! The "dark" colors like that are considered the villains. So they are under Murky and Lurky. 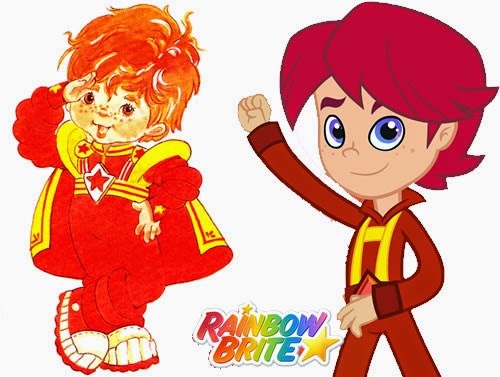 They never had kids in charge of those colors in the original show.